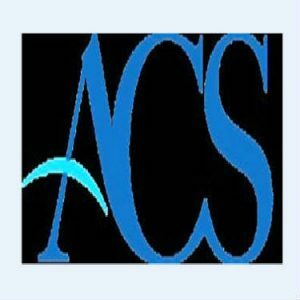 ACS (the Association of Convenience Stores) has welcomed figures released by the Office of National Statistics which show a decline in the percentage of young people that get cigarettes from retailers. The report published by ONS and the NHS, looks at the prevalence of smoking, drinking and drug use among young people (school pupils aged 11 to 15). When asked where they get cigarettes, the most common source for regular smokers among the survey group of young people was to be given them by friends. The report notes that there has been a sharp decline in the percentage that usually bought cigarettes from shops, going from 57% in 2014 to 38% in 2016. The report also shows that there has been an increase in the proportion of underage smokers who said they found it difficult to buy cigarettes in shops to almost one in three (28%). Of the pupils surveyed that had obtained alcohol in the last four weeks, the most common sources were to be given it by parents (70%), given by friends (54%), and taken from home without permission (41%). 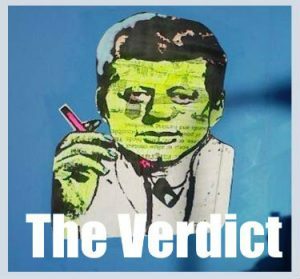 Because most of us have a very limited grasp of economics, and because we don’t want to appear ignorant, we tend to adopt the conventional doctrines. Swallowing them whole, and assuming that they are as sacrosanct as the laws of nature or mathematics. We find ourselves bandying about terms like market equilibrium, gross domestic product, and rational economic man in an effort to appear worldly wise and sophisticated. Politicians being some of the worst offenders: becoming instant economic ‘experts’ the moment they take office. 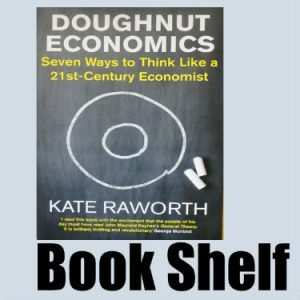 Now, along comes a book – Doughnut Economics, by Kate Raworth – that calls into question all of those old economic certainties: revisiting the theories that underpin the accepted dogma, and asking us to reframe our vision of the economy. Raworth, who is an Oxford academic with a background in international development, concludes that economics is broken, and its outdated theories have permitted a world of poverty juxtaposed by extreme wealth. Not only that, it is threatening to bring the world to the brink of ecological disaster through its insistence on continual growth. Raworth identifies seven modes of thinking that, in her view, will transform the debased 20th century model, making it fit for the 21st. Along the way, she asks us to: revise our belief in mechanical equilibrium, realising that the economy is a far more complex circulatory system influenced by feedback loops; appreciate the domestic economy, and recognise the social underpinnings that are the foundation of an equitable society; identify the environmental restraints that should provide the ecological ceiling for our endeavours; and refocus business onto its social objectives. For some, perhaps the most challenging leap will be the re-examination, and conceivable abandonment, of GDP as a meaningful measure of economic success, while recognising that continuous striving for growth is destructive. Likening the latter to cancer which inevitably destroys its living host. The time has also come to deny the ‘existence of rational economic man’, by accepting that self interest in not the sole driver of everyday human and economic activity. Ambitious, radical, and meticulously argued, Doughnut Economics challenges the underpinnings of current dogma and will leave doctrinaire minds spinning. But, I would like to think that she has captured the zeitgeist of new wave economic thinking. 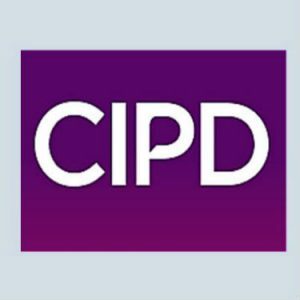 CIPD Says HR Data Could Drive Ethical and Sustainable Investment. Research published by CIPD in partnership with Warwick University Business School looks at investors and the people data they use when making investment decisions. The new research explores how investors make decisions using people data. Launched last month ‘The intangible workforce: do investors see the potential of people data?’ found there are many opportunities for HR in listed organisations to work better with investors to help demonstrate the value and contribution of the workforce. Investors and analysts are interested in HR data that describes quality of management, cost of workforce, and cultural risk; information which HR analysts often collect and analyse. This could help investors understand more long-term risks and opportunities to the business, and therefore inform better investment decision making. There are also more opportunities for senior HR leaders to demonstrate the value of HR insights to boards which may be looking to engage more effectively with their investors/shareholders. HR leaders can bring value that to boards, particularly in organisations which may be facing workforce risks arising from Brexit, and changing working practices. Data and insights that describe the approach boards are taking to mitigate against business risks are considered to be of high value by investors. Currently, there is a bias towards financial information. Leading to Issues like herding and following the actions of other investors to maintain the status quo. There is more that needs to be done to illustrate the importance of non-financial information about the workforce. In addition to this there is also little research published which describes how investors make decisions using people data. The research concludes by highlighting a number of ways in which HR leaders can help to drive better decision making by investors. These include the adoption of standard metrics, clearer narrative reporting of people insights, and better linking HR data to business and people strategy. The new research is part of CIPD’s ongoing work to help boards and their external stakeholders to consider the workforce in their strategic decision making, and make more ethical and sustainable decisions. Hart Square: How do you choose the right partner and system while avoiding the pitfalls? In a world of dating apps, where your life partner could be just a swipe away, it’s easy to forget that matchmaking has been an industry for a surprisingly long time. Match.com, e harmony or any of the countless other dating sites may have long usurped their skills, but many cultures have employed matchmakers to smooth the path of true love since time immemorial. Genetics, personality tests, or even astrology might improve your chances of finding the perfect love match. In business, B2B matchmaking, investor matchmaking, business speed dating or brokerage events might perform the same function. But when it comes to CRM, choosing the right partner, and system, still has many potential pitfalls. But how difficult can it really be? After all, there are loads of CRM platforms, no shortage of suppliers, and they all look attractive. So, just find a supplier that looks nice, says they can do the job within your budget, meet up, have a chat – maybe a drink – and sign on the dotted line! What could be simpler? So, why were the association executives gathered for the recent Hart Square seminar on that very subject even there? Were they all in need of a matchmaker’s tender ministrations? It turns out that whether it was a new, inherited, or up-grade project, they had all been thrown a curve ball in the form of the instruction, “go and do some research!” And, as Hart Square director of client projects, Allen Reid, pointed out, while their primary mission might be to avoid getting shouted at, their second was to own the budget that they would eventually present to their Board when it inevitably over-runs. No stress there then! Luckily for them Allen had Nick Rosewall of smartimpact, a case study from the Institute of Practitioners in Advertising (IPA), and a stack of data gleaned from Hart Square’s study, CRM Project: Why do they succeed or fail?, to fall back on. It turns out that, according to their research, forty percent of projects had only limited success or failed to meet expectations; sixty percent didn’t deliver their project on time; three quarters took between one and two years to implement their CRM system; and, many spent the thick end of £250,000 achieving their aims! So there must be some key factors associated with a successful project. The first is a clear set of business requirements. Second is staff and stakeholder engagement. Finally, the use of external resources. And that’s where Hart Square comes into the picture as an independent advisor. One that can hold your hand on the journey, and knows nice people at a whole load of trusted providers like smartimpact. Allan and his team will take you through the process of gathering your business requirements, understanding your strategy, putting you though a business process review, and only then, put you in front of potential partners and technology. They, in turn, must have the right cultural fit, the right project approach, and the size and capacity to cope with your particular project. In the case of smartimpact that process should start as soon as possible, and Nick had some tips for project success. Starting with defining your clear objectives, allocating realistic resources, and defining roles and responsibilities. Next, and importantly, form a project delivery partnership, work closely with your supplier, and build knowledge through user acceptance testing (UAT); testing in the ‘real world’ by the intended audience. And, if your project involves web integration, involve your providers so they aren’t compromised by restrictions they might inherited restrictions imposed by the CRM. Of course nobody can force you to take good advice. So if you’d prefer to find your CRM partner by swiping absent mindedly through the equivalent of a dating app., then go ahead. But the consequences – just as in marriage – could be an early and acrimonious divorce. And they’re expensive! Minister for Climate Change at ADE / EI Heat and Decentralised Energy Conference. Claire Perry MP, Minister of State for Climate Change and Industry, will give a keynote speech at Heat and Decentralised Energy 2017, in London on Thursday 30 November. 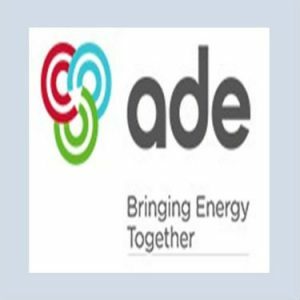 This one-day conference, hosted by the Association for Decentralised Energy (ADE) and the Energy Institute (EI), will explore the shift needed to achieve a competitive, cost effective low carbon energy system which places customers at its heart. The new Clean Growth Strategy recognises that heat is the most difficult sector to decarbonise. The Strategy sets out actions for rolling out low carbon heating including ongoing support for heat networks and two new £10 million innovation programmes to develop new energy efficiency and heating technologies to enable lower cost, low carbon homes. The Policy Debate will be chaired by John Moylan, former Industry and Employment Correspondent for the BBC. The Association for Decentralised Energy is also celebrating its 50thanniversary with a drinks reception. You can book your place at Heat and Decentralised Energy 2017 online at http://www.heatconference.co.uk/booknow. The British Pest Control Association is seeking an exceptional candidate to be their next Chief Executive following the departure of Simon Forrester, reported in Edition 268 of Association News. BPCA is the professional trade association for the public health pest control industry. Its 750+ members protect the public and businesses from damage and contamination by pests, covering the whole supply chain from manufacturers and distributors of pest control products, servicing companies through to consultants and customers. At an exciting time in its development, BPCA is seeking an exceptional senior association management professional to help shape, and then implement the next strategic planning cycle and to continue the association’s leading position in the marketplace. The successful candidate will be an effective leader with the credibility to raise the profile of the organisation, to motivate staff, volunteers and supporters and to develop relationships through highly effective influencing skills. The ideal candidate must have proven strategic leadership skills gained in an organisation of comparable size and complexity, ideally in the not-for-profit sector. Midlands’ location. The Institution of Lighting Professionals (ILP) is seeking a new CEO to ultimately replace the current incumbent Richard Frost. It is the UK and Ireland’s largest and most influential professional lighting association with 2,000 individuals and over 120 company members. It provides a range of services to members and the profession including education and training, technical advice and publications and a range of national and regional events. The Chief Executive will guide the Institution through a period of structural reorganisation advising and guiding the Executive Board, implementing its strategic direction and managing the delivery of all business services. They will have senior experience within a professional or trade association and be an excellent communicator, and should be politically and diplomatically astute and with well-honed leadership skills. Interested? Apply by email to jobs@theilp.org.uk giving details of your experience and aptitude for the job, together with salary expectation. See full details here. Closing date for applications, 30 November 2017. 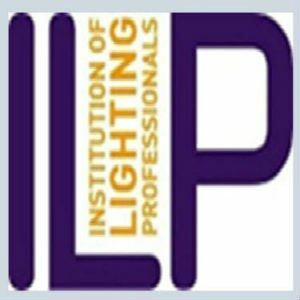 The Institution of Lighting Professionals (ILP) is the UK and Ireland’s largest and most influential professional lighting association with 2,000 individuals and over 120 company members. It provides a range of services to members and the profession including education and training, technical advice and publications and a range of national and regional events. The Chief Executive will guide the Institution through a period of structural reorganisation advising and guiding the Executive Board, implementing its strategic direction and managing the delivery of all business services. Initiating and contributing to policy formulation. Acting as Company Secretary ensuring compliance and due diligence in respect of the ILP’s status as a charity and a company. Managing the implementation of policy and strategy and reporting to Executive Board meetings. Liaising with governments and all other appropriate organisations fostering and developing relationships. Projecting the Institution at all levels and acting as ambassador for its objectives. Applicants will have senior experience within a professional or trade association and be an excellent communicator. They should be politically and diplomatically astute and with well-honed leadership skills. They must have experience of meetings management at senior level and dealing with multiple complex projects simultaneously. Applicants will be analytical in their approach and able to deal with people at all levels. They will have business acumen, presence, gravitas and the ability to lead and motivate staff and volunteers. Unsocial hours and travel are an integral feature of the role. If you’re interested in this role, please apply by email to jobs@theilp.org.uk giving details of your experience and aptitude for the job, together with salary expectation. 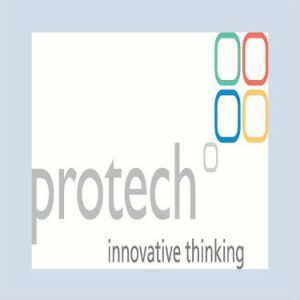 Demonstrating its commitment to overcoming security challenges in Not for Profit (NFP) and Public Sector organisations – and assisting in the achievement of General Data Protection Regulation (GDPR) compliance – ProTech has announced that it is ISO 27001:2013 and Cyber Essentials/Cyber Essentials PLUS certified. Security has always been at the core of ProTech’s specialist CRM software, and ProWeb its digital platform and Content Management System (CMS), which together deliver an integrated web and CRM solution. “Our unrelenting focus on security meant that ProTech was the first provider to deliver a Government ‘OFFICIAL’ Security accredited integrated web and CRM solution specifically developed for the NFP and Public sectors,” said Jenny Parsons, ProTech’s COO. “We will continue to raise the ‘security’ bar to the highest possible levels so that our existing and potential clients can be confident that ProTech has taken all possible measures to ensure the safety of their data, at the same time as helping them to achieve GDPR compliance,” concluded Parsons. ProTech’s certification to ISO 27001:2013 demonstrates to existing and potential clients that it has defined and put in place best-practice information security processes. ISO 27001 is the only auditable international standard that defines the requirements of an Information Security Management System (ISMS). An ISMS is a set of policies, procedures, processes and systems that manage information risks, such as cyberattacks, hacks, data leaks or theft. Cyber Essentials is a Government-backed, industry-supported scheme to help organisations protect themselves against the most common threats found on the internet. Organisations have to complete a self-assessment questionnaire with responses independently reviewed by an external certifying body. Cyber Essential PLUS covers the same requirements as Cyber Essentials but testing of the organisation’s software and IT systems is carried out by an external certifying body, using a range of tools and techniques.